The Flash is now CW’s most watched show and there are many reasons why. The Flash is super loveable, and Grant Gustin does a great job in playing Barry Allen. The whole cast in general have maintained a high quality level of acting in the first few episodes. The plot and the episode plots are good. The special effects on this show are terrific for television and its never a dull moment with the effects. More importantly, The Flash is very comic book like because of his powers and his villain powers. The introduction of Captain Cold as a primary villain is why the Flash has mass appeal. Arrow is very ground and dark as a television show, and Gotham, on Fox, is the same. The two televisions are supposed set in the real world and abide by the rules of reality. However, the Flash takes these rules and turns them upside down. People love superheroes because they love the power that these heroes display. The counterpart to the heroes processing the power are the villains who have an opposite power that can severely challenge or kill our superheroes. Captain Cold is the tip of the iceberg for the villains that will be introduced during the Flash, television show. Leonard Snart is criminal that commits arm robbery. He very much plans the response time of the Central City police and knows when he needs to leave the scene of the crime. Barry Allen being his nerdy self is at Star Labs with the team and playing each other person in a different game. 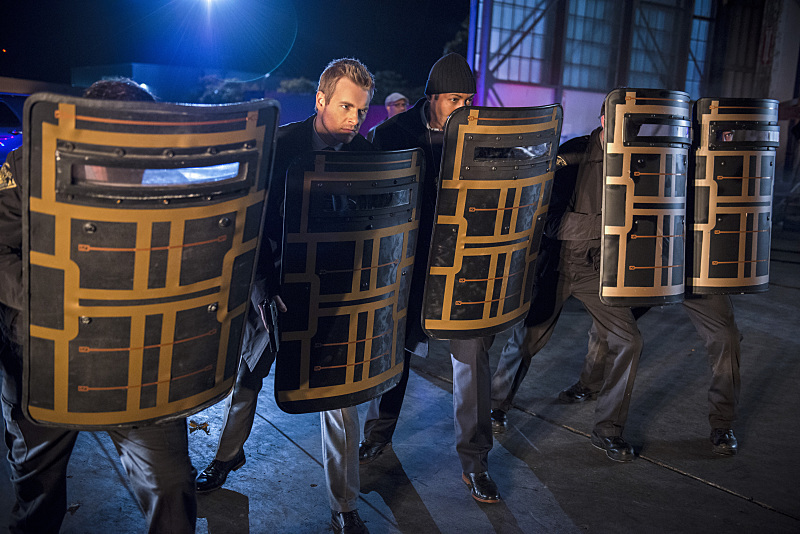 The team hears about an arm robbery in process, and Barry takes off to save the day. He foils Snart’s plan to rob an armory car. Snart is fascinated by the Flash and sees the hero as challenge. He finds a way to defeat the Flash and will kill any one who gets in his way. 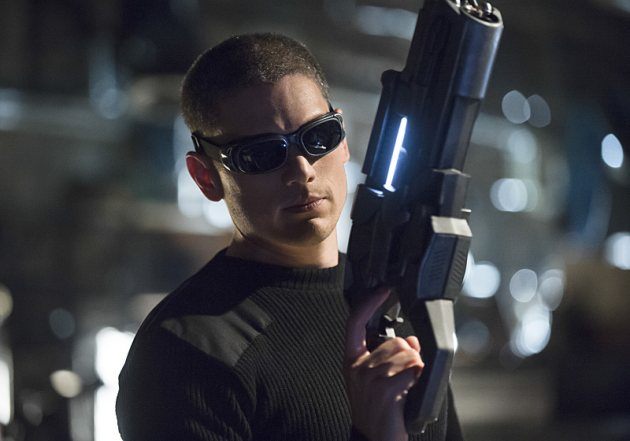 The Flash will have a find way to stop Snart, Captain Cold, without being hit by Snart’s cold gun. He destroyed a train moments before and didn’t care. “Going Rogue” had many positives as a episode. The special effects were great. Felicity Smoak came to see Barry, and they rekindle their little fling. Iris continues to be blind as a bat when it comes to Barry and his feelings towards her. Seriously, the biggest positive was Leonard Snart, Captain Cold, vs. Barry Allen, The Flash. 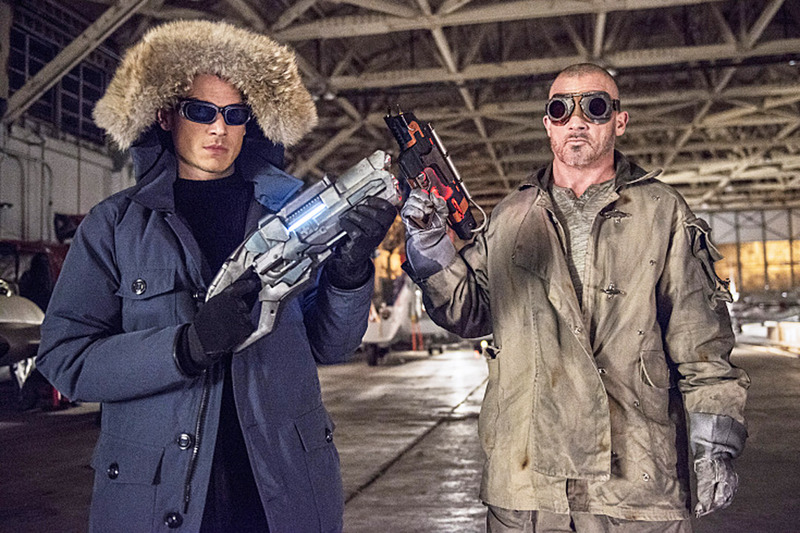 The episode mainly focused on the first battle in a long drawn out war between Captain Cold and Flash. 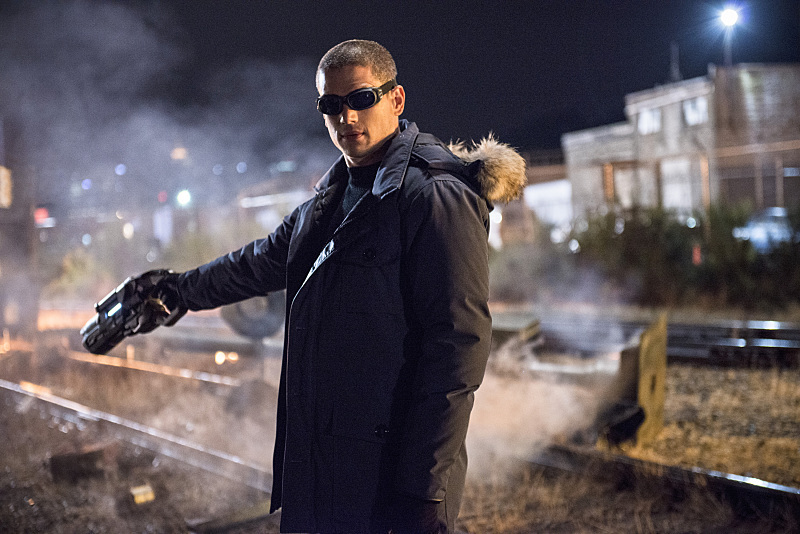 Wentworth Miller was so damn cold as Captain Cold. Cold means he would kill you like you were just fly on the wall. His character didn’t want to get away with the stolen diamond but wanted to kill the Flash in the process. Miller displayed a complete lack of humanity and compassion as Captain Cold and captured the attention of the audience. The Flash can’t get hit by his ice gun because the absolute zero freezes the skin on contact. Captain Cold will be in several episodes this season. The episode was a great introduction to his character, and Flash has no idea how to defeat Cold at the moment when he decides to resurface. The episode had a few negatives but mostly it was with the subplots like the relationship between Eddie and Iris. Seriously, it is supposed to be important but it feels annoying because the writers kind of force down our throats every week. The episode was great overall and “Going Rogue” gets a 4.5/5. The introduction of Captain Cold was brilliant.